When you’re looking to escape the ‘ol daily grind, there’s nothing like some gorgeous greenery to make your brain say “ahhhh”–and good old SE Queensland is home to some pretty sensational places without straying too far from the concrete jungle, if you just know where to find them. And hey, it doesn’t hurt if they’re pretty enough for the ‘gram, right? We’ve teamed up with Hoegaarden to share our finds on the most Insta-worthy urban gardens to chill out in when all you need to do is get away from it all. We love a garden that has it all. Our checklist (which should be yours too) is: great vibes, lush greenery, epic drinks, mouth-watering eats. 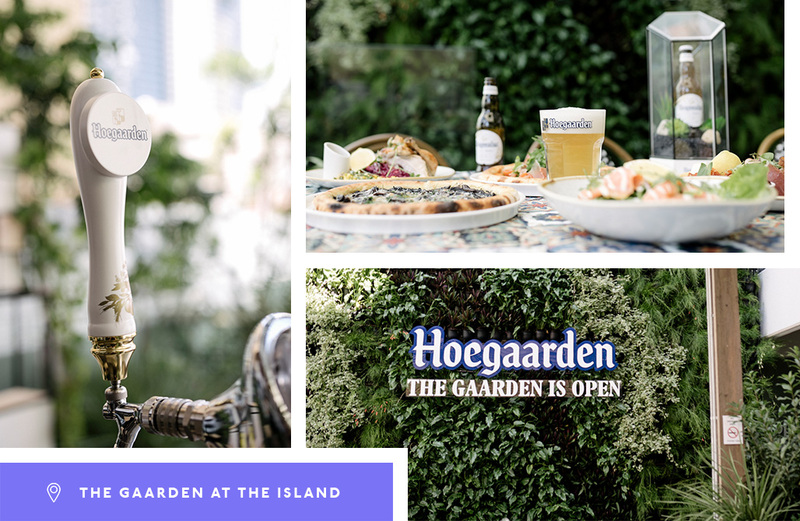 And that’s exactly what you’ll find at Hoegaarden’s summer pop-up beer oasis The Gaarden at The Island Boutique Hotel, open on the deck all summer long. In the heart of Surfer’s Paradise (there’s a tick for vibes) this joint twinkles on even a cloudy day thanks to the spritzing of fairy lights and plants galore, and there’s no short supply of cold beers and of course delectable eats (tick and tick). Known for its expansive green space–but unofficially for its world-class dog spotting and people watching–New Farm Park is a must-do for your next concrete jungle escape. Take a break from the puppers and stop to smell the roses in the beaut rose garden. Tended and loved for by a dedicated group of volunteers, this little gem is popping with colour and just makes you happy looking at it. Also, don’t forget to bring a bev, because we aren’t kidding when we say that New Farm Park is BYO approved. 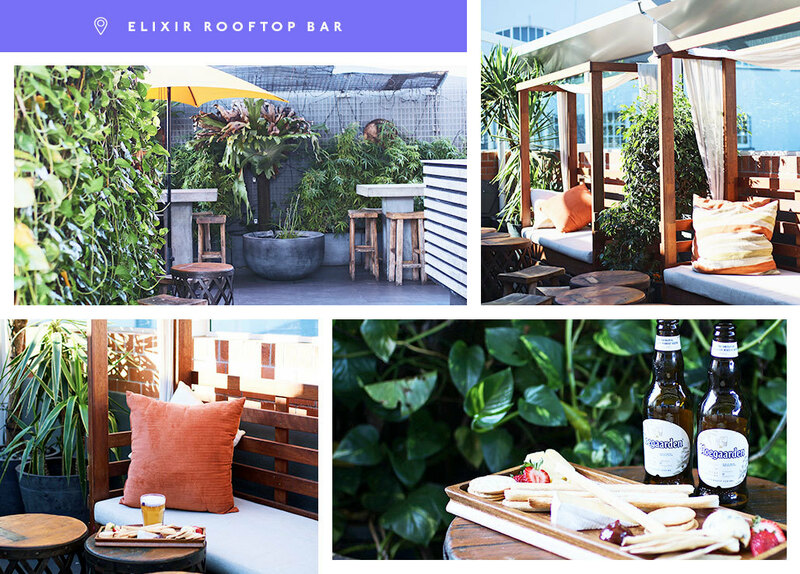 Brisbane’s own garden in the sky, Elixir Rooftop Bar, is one of our top green picks to escape from the city, right in the city. Despite being located smack bang in the middle of Fortitude Valley, we can assure you Elixir is the more elegant and grown up older sister of many other Valley bars, with vibrant greenery walls drenched in fairy lights with Brisbane’s spectacular skyline as the backdrop. So why not sit back with an icy cold Hoegaarden in hand and chill (in every sense of the word). The Roma Street Parklands will have you seeing Brisbane city in a whole new light. Situated on the opposite side of the CBD to the Botanic Gardens, they seemingly give Brisbane the much-needed hug we sometimes all need. Tranquil and peaceful, these parklands are diverse in their flora with a seasonal mix to ensure it’s always blooming. We love a good meander through the fern gully, rainforest, forest meadow, city view saddle and the palm tree court. If you’re looking for something with, you know, less walking, bring out a spread on the lakeside lawn right next to the beautiful pond with aquatic animals to keep it interesting. You can even legally crack a Hoegaarden here: just pour it into a plastic cup and you’re totally legit! What could be a better view then the beach and Brisbane city? Yes it may not be a “real” beach but it’s just as pretty. 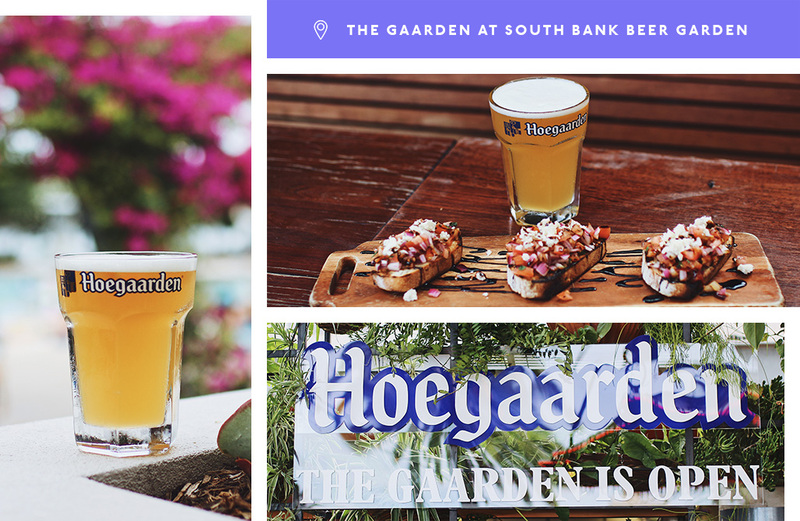 Southbank Beer Garden is flush for ambience, dranks and sustenance but this summer, supported by Hoegaarden, they’re taking the 'ick' out of this sticky season by transforming the space into pop-up beer garden The Gaarden. With a vertical greenery wall for that perfect Insta, fabulous views, delish share plates, and of course brews provided by Hoegaarden, there’s no better place to spend your summer days. 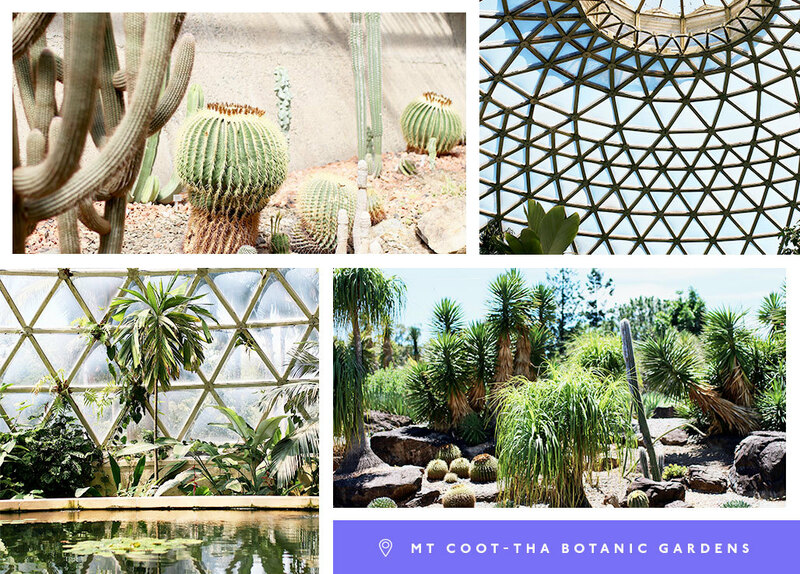 Nestled right on the edge of downtown, the Botanic Gardens are the perfect inner-city escape to just mellow out in (New York, eat your heart out). Whether it’s a work lunch break, family outing or you’re just avoiding going for that run, the Botanic Gardens are a lush escape from all things daunting and serious. Have a geeze at the bamboo grove and weeping fig tree avenue or take a self-guided walk through the different flora and historic landmarks to leave feeling like you’ve been on a riveting adventure (or hurry back to work, either or). Sometimes it’s easy to forget that you don’t need to go to the beach to have an amazing day-cation. Luckily for us we’ve been blessed with epic botanic gardens throughout Brisbane. If you want to escape the hubbub then pack the picnic rug, fill the esky and trundle out to the base of Mt Coot-tha to the stunning Botanic Gardens. These gardens are very cool: arranged in very ‘grammable thematic and geographical displays, there’s a fragrant garden, bamboo grove, fern house, herb garden, free guided walks, living museums and they are also home to the largest collection of Australian native rainforest trees in the world! If you really want to get away from your norm, why not hop in the car and cruise down to Nerima Gardens in Ipswich for a total Zen-out session. These gardens are a little piece of Japan down under, with all of the attributes one would find in a traditional Zen garden. Educate yourself along the way on what each aspect symbolises and leave feeling refreshed and with a brain brimming with new info. The perfect re-start, don’t you think?